In the next few weeks, the likes of FOX Sports, NBC Sports, and ESPN will be bidding for the rights starting from the 2016-2017 season. NBC Sports has held the rights for the past two seasons, before which FOX Sports held the rights. Currently, FOX carries the rights for the UEFA Champions League and Europa League, FA Cup, and Bundesliga games, among others. ESPN carries the rights for Euro 2016 Qualifying, select MLS games, and World 2018 Qualifying, among others. NBC, on the other hand, only really holds the rights to English Premier League coverage, so the pressure is on them to put in a serious bid for the upcoming 2016-2019 rights. For viewers, NBC’s coverage is as close to perfection as can be. While FOX Sports has declined in quality, especially since their main channel shut down and has subsequently been replaced by Fox Sports 1 and Fox Sports 2. As NBC have moved forward, they have tried to implement new, creative ideas to improve coverage. NBC Sports Live Extra, the app which lets you stream every single Premier League live through your TV provider at no additional cost was a great idea, allowing viewers to choose which matches to watch (if their selected match was not televised). 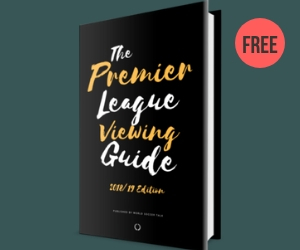 Other innovative ideas include the Premier League Breakaway, with Rebecca Lowe guiding the program as they cut from match to match, showing the best action. Overall, it truly felt that NBC were putting in lots of effort to truly improve their Premier League coverage. The panel, the likes of Kyle Martino, Robbie Mustoe, Robbie Earle and Rebecca Lowe provided solid matchday coverage with good analysis. Furthermore, actual match commentary has been quality, with lead commentator Arlo White providing a far cry from the likes of Gus Johnson taking big matches during Fox’s Premier League run. Other commentators, such as Graeme Le Saux and Lee Dixon have provided experience to nicely compliment White. With these improvements, among others, to Premier League coverage helped NBC’s numbers across the two years they have had coverage. NBC’s coverage has been successful, as shown by the viewing numbers increasing by 9% during the 2014-2015 season as compared to the 2013-2014 season. All in all, NBC’s coverage seems so much more polished than Fox and ESPN in the past. 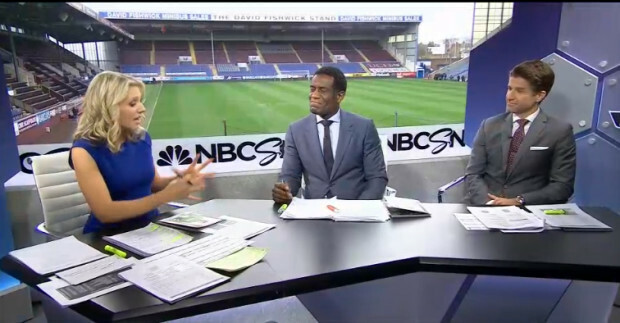 NBC’s coverage has played a role in the success of the Premier League in the United States. The average TV viewing audience for a Premier League game on NBC Sports is around 470,000 viewers. NBC has also helped increase viewers by showing some matches on their regular (non-sports) channel. NBC hit lots of milestones across the past season, such as the match Manchester United vs. Arsenal, which raked in over 1.4 million viewers on November 22nd. In a similar way, the Live Extra app has also been successful, showcasing just why NBC deserve Premier League rights. At the end of the day, fans do not have complete control over broadcasting rights. Fans, however, do play a key role in the success of TV channels. Just about anyone will tell you that NBC has provided a huge improvement over past Premier League coverage. The coverage has helped expand the Premier League’s name in the United States, helping more and more people appreciate and enjoy the sport of soccer. NBC Sports deserve credit for the effort they have put in, for the work they have done. For soccer fans, NBC Sports is the best option moving forward in terms of Premier League rights. If NBC doesn’t retain the rights, I’ll cry. They may deserve it, but money is the only thing that matters. Im getting a little emotional just at the idea of Fox getting the Epl back. I dont want to go back to paying 20 bucks for a streaming service that doesn’t work and I don’t want analysis from Barton, Wynalda, and Lalas. Completely agree. NBC brings quality to the table. Fox had Wynalda and Lalas making no sense, making mistake after mistake. I honestly felt I could do just as good (maybe a better) job than them on screen. Did anybody notice how different Brad Friedel was on FOX for Gold Cup, compared to how he is on the british sports channels? I really enjoyed him during world cup on BBC, but he sounded stressed out and sometimes even awkwardly inarticulate on FOX, as if the frantic hyper spastic way they bark their commentary was really giving him trouble. Fox often has a recipe for disaster. I remember the 2012 Champions League final, where Friedel was part of the match day crew wearing a Tottenham scarf. (If Chelsea lost, Spurs were back in the Champions League, if Chelsea won, Spurs were out). As it was, Chelsea won, and you could see how upset Friedel looked. It astounded me that they went into the biggest match of the season with a player who would obviously show bias. I remember him being interviewed while playing for Spurs. His faux English accent was…amusing. Still is. Just the possibility that FOX could take EPL makes me nauseaus, and yeah even weepy lol. That would mean the death the of my happy early mornings, no effing way I’d get up at 4am for FOX. I’d probably go back to pirate streams or replays days later, even in portuguese or russian. It was hard enough to stomach the stark difference in coverage quality when watching Champions League and Europa League on the competing channels this last year. Its all about money, but maybe some motivated fan will figure out how to start some sort of campaign to give NBCSN the edge. Luckily, this past season took away Gus Johnson and Eric Wynalda as the commentating duo for Champions League matches. Neither have the enthusiasm or knowledge honestly to command such a big game, and the 2014 Champions League final was spoiled for me because of their commentary. I agree with this article. With the way NBC has treated the EPL and in watching what Fox is doing with Bundesliga (next to nothing) it’s hard to fathom NBC losing the rights. But yeah….money. NBC has done much to increase the value of the EPL here and it would be sad to see them lose it. Is there any way we fans can influence the outcome of the bidding? Best bet is to contact the Premier League and let them know why. nbc sports doesn’t deserve the rights. the rights are deserved by that group that’s willing to pay the most for them. maybe american soccer fans don’t like to hear that, but that’s the truth. That’s harsh, even if it is true to a certain extent. Obviously the bid matters and NBC will probably bid big because they don’t have too many other sports on their sports channel. I know fans don’t have a huge say, but Fox will bring down the improvements made over the past 2 seasons, which would be disappointing to say the least. the truth can often be harsh. it is nevertheless the truth. best to face up to it and deal with it rather than hide from it, or complain about it. If Fox gets it, they’ll put the Manchester United games on FS2, and everything else on fox soccer plus or some crap streaming service. Then when college football season is over, they’ll consider putting a game on FS1, until nascar season starts. Don’t forget the fact that Fox Soccer Plus costs money. So for people like me not willing to pay extra money to watch big games, it was annoying to say the least. NBC’s Live Extra game me the choice of watching multiple games at the same time at no additional cost, which is awesome. NBC all the way please. Only addition needed is a daily 30 minute highlight/update show. Fox will ruin the coverage. Completely agree. Love NBC’s coverage, but I would love to see a 30-minute review show like they do on Bein Sport with analysis. That could be the next big improvement by them, although their right schedule could prevent that. This is going to sound sacrilegious and I expect everyone to jump all over me, but I would suggest NBC pay big money for the Premiership and then begin to show matches on same day tape delay, particularly on the over the air network. Hear me out: there are many bigtime matches at 7:45am Eastern. That is 4:45am Pacific and it is simply too early to help grow the sport as much as would be possible with more favorable times. NBC has to start showing some big matches on same day tape delay on the best available channel (Fox showed a number of big matches on sameday tape delay on the main Fox Network some years ago..to great ratings). Yes, the purists will complain, but people complained when NBC began showing so many major Olympics events on tape delay as well. But ultimately, the ratings proved them right. Soccer fans can keep from seeing the scores to these matches prematurely….and then watch the delayed broadcasts at better times, say 2:30pm Eastern. NBC could always stream matches live for the diehards. That would increase ratings and allow NBC to recoup greater expenditures to secure the rights. If NBC doesn’t do this, Fox probably will, eventually. Here’s my idea: keep the live NBCSN streams going for a looooong time, so that you can sequence the games and watch them all ‘live’ online after having clicked the option to hide scores. I already love that the streams allow me to stop and start as I wish, so I can take a pottie break or eat something and go right back to ‘live’. This was actually possible earlier in the year, I could start watching the first game around 6-ish, then continue watching all the games in my own order of preference and get the live experience. Later on, the live streams stopped streaming long enough for this to work. My stream would suddenly stop mid-game and I ended up having to wait until whenever it was that they began showing them as replays. I’ve used methods like this, but often I’ll just sleep in and then watch the early game, or (if it’s of no interest) go to the most appealing 10 am ET game and have one other recording on the DVR. But NBC is good about getting replays up pretty quickly on Live Extra, and with that available now on Roku, I’ve got so many options for watching a bunch of games unspoiled (of course, this only works so well if I stay off any website that might provide spoilers). One thing I did notice, though, is that Arsenal games often aren’t available via replay, so those are the ones to definitely watch live or record on DVR. Also, the score bug on NBC/NBCSN games is hard not to notice, so I’ll often watch those games last. Luckily the Live Extra/Extra Time games don’t have the other scores shown. In this day and age when everyone can get scores instantly on multiple devices it doesn’t make sense to show games on delay. Viewership for delayed games would be very poor which means little advertising revenue. One option would be to show the game live but also allow for on-demand access. I agree with Martin. It’s tough for people in the Pacific to watch early morning kick-offs easily. Nevertheless, I know way too many people who wouldn’t want to watch a full match if they already knew the score. One possible solution is to simply show re-runs of big matches during the afternoon, after the late kickoff of the day. Erico’s idea also seems nice. They already allow on demand access, in most case. It is false to assume viewership for delayed games would be negligible because you are not taking casual viewers into consideration. It is casual viewers who drive the growth of a sport when they convert from casual to regular viewership. Furthermore a couple of the highest rated Premier League matches in US history were actually shown on tape delay by Fox on their main over the air network. On my travels in Asia, I learned it was possible to spend 24 hours a day watching EPL games, on several channels even, so there was almost always a choice of several games to watch at any time. All on replay of course, yet they are incredibly popular. Why wouldn’t that be true here, to some extent? Of course viewership wouldn’t be as high as a live game, but why not make replays available for a long time online or on several cheapie cable channels? And as pointed out, new comers and casual viewers are the ones who later become fanatics once they’ve had a chance to watch lots of teams and lots of games. As I understand it, that is the reason Asia is so saturated with old EPL games, to create new fans. The big reasons those FOX tape delayed games got such big numbers was because they had NFL lead ins and the games were big clashes. Correct, and that’s precisely the point. Tape delayed telecasts give you that opportunity to provide healthy lead ins and thereby get more eyeballs. That is a way to grow a sport. No matter how one slices it: matches at 4:45am in Los Angeles and Seattle and San Francisco; and at 6:45 am in Houston and Denver and Chicago is going to limit the growth of a sport. There’s no way around this fact, with all due respect. Is there a way for viewers in the U.S. to voice their opinion(s) on this subject to the English FA? It would be a shame if NBC didn’t retain the rights as their coverage of the PL has been nothing short of excellent. That and past and present experiences with Fox Sports which is third rate compared with NBC Sports. ESPN is better than Fox but still not as good as NBC. Also it is worrisome that if ESPN were to win the rights they will share soccer content with Fox, as they do at present. The problem is that money plays such a huge role that the biggest bidders will quite likely get the rights. On the bright side, Fox is already busy, especially as they have just acquired Bundesliga rights. On the downside, if you see the way they’ve treated the Bundesliga rights (only showing games on Fox Sports 2, Fox Soccer +, etc.) then you have poor coverage IF Fox wins. NBC has gotten really strong reviews, more people are watching by a huge number difference, and NBC Sports has less rights to sports in general so the Premier League is big for them. Hopefully, they win. Is Fox purposely delaying Bundesliga announcements because the EPL tenders are in flight though? Maybe they don’t want to set expectations / establish commitments for BL if they can steal back the EPL for next year? That’s a good point, but to me that doesn’t really make sense. That’s like putting all your eggs in one basket. What if they don’t get PL rights? Then disrespecting thr Bundesliga won’t make sense. Secondly, I’m sure they paid a decent amount of money to get the Bundesliga rights, so it doesn’t make sense to put the Bundesliga to one side. If they don’t get PL rights, then they stick with whatever plan they have for the BL. I’m suggesting that it’s possible that Fox simply aren’t telling anyone what that plan is until the last minute, perhaps because they are hoping the EPL rights are settled prior to August 14th. As for paying a lot for BL rights, don’t forget they paid for Worldwide rights and that they plan on recouping some of that in investment in other countries. In this made-up scenario, if Fox were to win EPL rights, perhaps they would re-sell a subset package of U.S. rights to a different company rather than invest in the infrastructure for one year. I can actually see a scenario where that makes sense. You could well be right. Duke, the EPL rights are not relevant in this case because the bidding is for the 2016/2017 season onwards. It is the La Liga and Serie A rights bidding the could be keeping Fox quiet until the results are in. NBC is showing the Premiership next season anyway, so that does not affect Fox programming of the Bundesliga. Dear American broadcasters, whoever wangs us the biggest amount of dollars gets the show. At some point, taking the highest bid doesn’t make long term sense. If the numbers are close, I suspect the increased exposure you’d get with NBC would trump the Fox bid. You risk devaluing the product if Fox doesn’t commit to the same level of coverage and you could therefore lose potential earnings in the following rights deal. Put differently, if Fox gets rights and pulls the same stunts as they have in the past, no one will want to pay a premium the next go round. Didn’t BeIN lose out last time because of lack of exposure/carriage and not necessarily lack of funds? Possibly, especially as Bein Sports are banked by Qatari Al-Jazeera, so money is no issue for them. And I agree with Jenkins, the spread of PL football under NBC has been great. Statistics support this and more and more people are starting to enjoy the sport. Don’t worry America NBC will not lose the rights. Head of NBCSN has said to the Premier League name your price, meaning they are prepared to pay big to keep the rights, because they know they get good ratings for early morning TV. Also the Premier League club owners like the exposure NBC gives the Premier League, which the other networks can’t guarantee. The extra exposure EPL teams get in the American market has led to bigger sponsorship for English teams. Adidas and Puma signed record shirt sponsorship deals with Man Utd and Arsenal on the basis that these teams were appearing on US Network TV every other week. You have shirt sponsorship shooting up for all teams in the EPL due to this. For Fox or ESPN to win the rights they would have bid more than twice the number of NBC just to get a chance of taking the rights. That is spare money Fox or ESPN don’t have. The big winner will be the EPL because I could see rights going up by at least 300%, which means cash for clubs as the rights for the EPL in the USA was far to low compared to the rest of world and ratings prove it was undervalued. Who’s the “head of NBCSN”? Mark Lazarus is the head of NBC and has already meet with Premier League clubs earlier this year in a presentation to them where he said he would pay a minimum of double the current rights value to regain the rights. To tell EPL clubs the minimum he is prepared to pay is double the present value shows how seriously NBC want the Premier League and they could pay $1 Billion for the rights. There’s no way NBC or any other network will close to a billion for the EPL rights in this auction anyway. If you’re nearing that figure, it’s pretty much in the ballpark of what networks pay the NFL/NBA for their rights. The EPL isn’t at that stage yet where any network could justify paying that much. nor will it ever be at that stage. There is this great interview head of NBCSN programming gave to the Guardian a few months into the Premier League contract. He said the EPL is very important to the NBC due to the demographics. There research showed American soccer TV watcher had an average age of 30, far lower than other Americans sports. They also had a good education and more disposal cash than fans or other traditional American sports. This meant NBC found it easy to get advertisers for the EPL games and made it more valuable than initially thought. Remember the EPL averages 8 million American viewers over a weekend, well above NBC expectations when they paid 250 Million. That is a lot of viewers for early morning TV. This is the driving force behind the NFL desperately trying to set up a NFL team in London to fill that early morning slot and stop the traction of the EPL in America. If Mark Lazerus has stated in a presentation to Premier League owners that he is willing to pay a minimum of £500 Million to keep the rights, that is already very close to billion dollars. The EPL is cheap to cover for NBC because they just use British TV feeds, it delivers 8 million viewers each week and has an affluent viewership that attracts sponsors for the network. There were actually some EPL games getting higher viewer numbers than MLB. US rights for Premier League were horribly undervalued and ratings prove this. Asia pays $1.9 Billion for Premier League rights. A $1 Billion contract for three years is very realistic. You do realize that the $1.5 billion (not $1.9 billion, as you incorrectly stated as fact) comes from ALL OF ASIA…not just one country? You have to realize how absolutely silly it is to think that the US television rights would approached $1 billion when ALL OF ASIA pays only $1.4 billion combined. NBCUniversal paid $250 million for US TV rights to EPL for 3 seasons. NBCU will bid at least $500 million for the next cycle. I would not be surprised if the final bid would come in at around $750 million if NBCU were to feel “heat” from FOX and/or possibly Discovery. Boy, I hope you’re right, Toby. I can’t imagine my weekends without the EPL on NBC. you doubt espn and fox’s pocketbooks. you do so at your peril. I’m fairly new to being a casual fan of EPL. I read this article and was shocked to find it had ever been on Fox. NBC’s coverage has me looking forward to the start of the season. I’d hate to see it buried behind an additional paywall on Fox or ESPN. The cable bill is already over the limit. NBC has been by far the better choice between the two (FOX and NBC). I hope they can continue to retain the rights for many years to come. In Hispanic America, English Premier League rights were bough last year by DirecTV / Sky. So people with cable television have just two or three matches sublicensed to ESPN. Same with the Spanish League. Instead, the Italian and German leagues signed with both ESPN and Fox, so we get plenty of matches. Just to clarify, you mean South America, not Hispanic America, correct? He meant LATIN America, which includes a significant portion of NORTH America, including Mexico, Guatemala, Belize, Honduras, El Salvador, Costa Rica, and Panama. No problem with ESPN/ABC buying the EPL rights. WATCH ESPN is top drawer and is a worldwide sports entity. Besides, doesn’t the Premier League/FA have certain stipulations in the contract regarding production, etc? 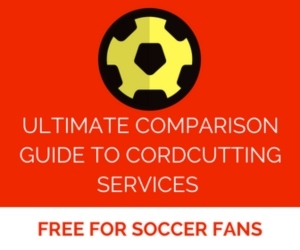 For example, I never see ‘score tickers’ during the majority of any European matches. Perhaps if FOX did win the rights, their ability to screw it up would be limited. ESPN/ABC and Fox Sports have been sharing soccer content so it’s quite possible that if ESPN/ABC wins the bid that they would sublicense games to Fox. Also, both Fox and ESPN/ABC could make a joint bid. The best scenario for US viewers is if NBC Sport wins the bid and continues it’s terrific coverage. With NBC we know what we’ll get. Yep, with Fox you don’t know what to expect. NBC has consistently quality coverage. The one thing I ever liked about Fox came on their old Fox Soccer channel. It was the review show at night which covered every single game in the Premier League, Serie A, and so on. I’d like to see something like that again. Everyone relax, NBC will get the rights. Unless the RFP has something in there judging the bid by past quality of performance, it will be best bid wins. Counting down 2 weeks until NBC EPL season begins. I think their broadcast is great and with Live Extra available on Roku, picking and choosing the best match or watching matches later is awesome…especially nice without having to pay for cable (I mooch a friend’s Live Extra password). Also, once the EPL starts, I can forget about keeping up with MLS. I tried, but never will I pay for the garbage MLS Live app. I do hope MLS takes the money they made on the suckers that subscribed and invests it in better sprinkler timers for some of their baseball stadiums and football (American!) fields. MLS has exclusive contracts with Univision, FOX and ESPN through 2022. NBCUniversal (Comcast): will bid at least $500 million for 3 seasons ($166 million/season) for all U.S. rights in all languages. Both NBCSN and NBC Universo have acres of TV time to fill on weekend mornings. FOX: is on a major shopping spree, but has major clearance issues (on both FOX Sports 1 and the big FOX) due to conflicts with NFL, College Football, and NASCAR on weekends. ESPN: not expected to bid on its own, as ESPN2 has enough time slots for at most 3 EPL matches per week. With a Disney-mandated budget cut hanging over ESPN’s heads, one would be surprised if ESPN were to bid. beIN: cannot bid without a partner due to poor distribution of its English-language channel. Univision: will consider bidding with a partner. My guess: EPL will receive 2 or 3 serious bids.